Thanks to South End Formaggio, Sault New England, Olives & Grace, Roxy's Grilled Cheese, DQM, Polkadog Bakery, and Coolidge Corner Theatre. We we think of weddings from the past, we see them as a collection of special moments frozen in time. You might remember flipping through your parents wedding and being astounded by how young your grandparents look or giggling about the then-trendy style of your mom's wedding dress. 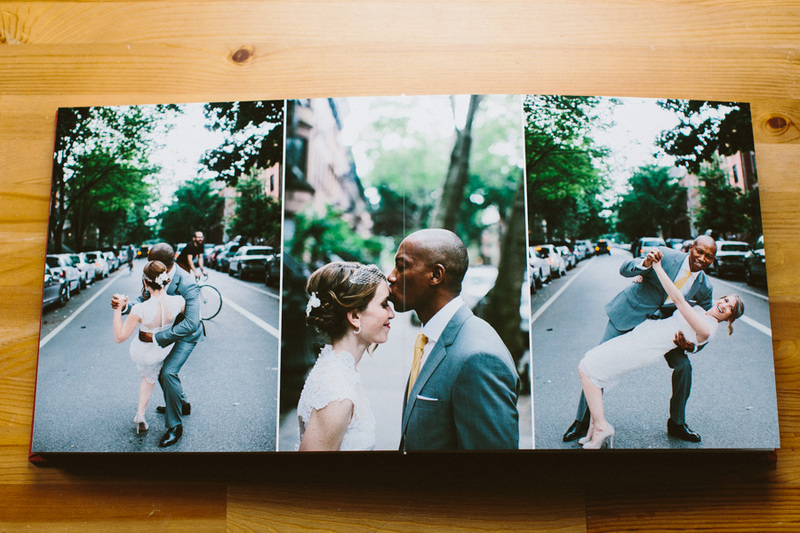 A photo album is the only tangible memory of your wedding you can carry with you for the rest of your life and clearly remember every moment exactly as it was. 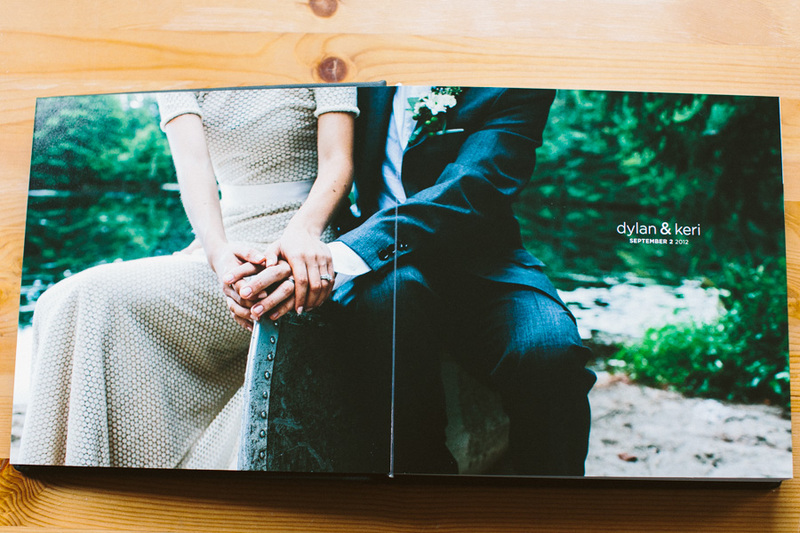 Because of distance or timing, I don't always get a chance to show off the beautiful albums that I can provide for my couples. Instead, I'd like to share them here so both current and future couples can consider them as an important part of your wedding experience. Who knows, maybe years from now you'll be sitting down with your kids and giggling at your own wedding dress! Either way, with an album you'll be flipping through your cherished memories and remembering just how perfect that day truly was. Even the Huffinton Post recently published a fantastic article on the importance of wedding albums that can be found here. I am happy to provide the highest quality albums in both leather and linen options with a variety of color options. Also my couples have the chance to add on mini Parent albums. The Danger Booth Open House at Grillo's Pickles! Yesterday New England graced us with some truly beautiful weather (seriously, 50 degrees in mid-February, are you kidding?) and we had our first big party at the Grillo's Pickles Pop-Up Shop in Inman Square. It was such a blast and thank you to everyone who came out! Here are a few photos from the event and a big slideshow of ALL the photos. If you want to grab any photos for FB/Twitter/Tumblr or buy a print, please visit www.thedangerbooth.com/photos. And don't forget we are still running a special deal for anyone who books The Danger Booth for their event/wedding/bar mitzvah/werewolf-turning ceremony/or what have you through the end of February. This is a new venture that has been in the works for quite some time now. I have spoken to many people about this, had some amazing help from friends (major shout outs to Regan, Dennis, Brian, Keri and so many more). The Danger Booth is the new guy on the "photo booth" scene. But The Danger Booth stands for something. Firmly taking a stand against waste by opting for USB thumbdrives over DVD's, reusable backgrounds over paper, and choosing an online gallery over immediate prints that far too often end up in the trash. I decided to start this business because I think it will be a great addition to not just my weddings, but all weddings. No longer will you need to have the boring table shot of 10 guests awkwardly standing around a bunch of dirty plates, with The Danger Booth you are guaranteed to get a professional quality photo of everyone at the event with just the click of the button. And it is not just about having photos of everyone, The Danger Booth is operated by remotes, so it is the guests that are taking the photos. So who knows what comes out when you realize the endless possibilites that you have when in front of the lens, sweetness and silliness are all fair game. I will be running a special for people who book The Danger Booth during the month of Feb for their 2012 event (more details of that on the site), but there will always be a special pricing (and a place in my heart) for my couples who add The Danger Booth to their wedding. Last but not least I have teamed up with my good friend Travis Grillo and I will be holding an open house at the Grillo's Brick and Mortar in Inman Square, I hope everyone comes by and checks out the booth and takes a few photos. I want you to see it in action and have some fun. There will be free pickles given away and there might be some more friends there with more freebies. So please check out the site: www.thedangerbooth.com and help spread the word about The Danger Booth!